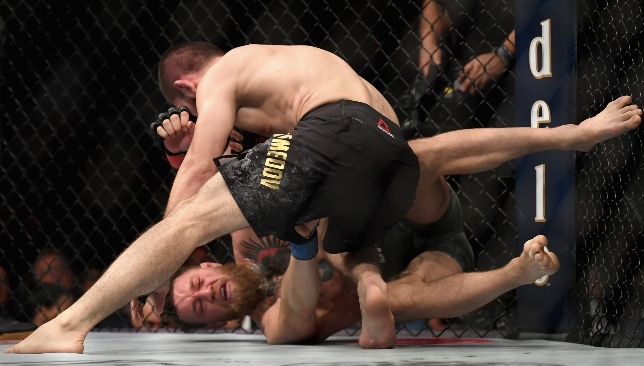 Conor McGregor was beaten on his UFC return as Khabib Nurmagomedov delivered a career-best display – but the Russian was seemingly the instigator of a post-fight melee that soured his victory. McGregor was making his comeback to mixed martial arts after a near two-year hiatus but the former two-weight champion submitted to his rival’s rear-naked choke midway through the fourth round in Las Vegas. Nurmagomedov therefore retained his lightweight title but then threw his gumshield, mounted the cage and looked to attack someone from McGregor’s team. A prone McGregor, still sitting on the floor after his defeat, was apparently attacked by someone from Nurmagomedov’s camp as the bad blood that has been building up ahead of this fight came to a head. IT’S OVER!! KHABIB TAPS MCGREGOR!! 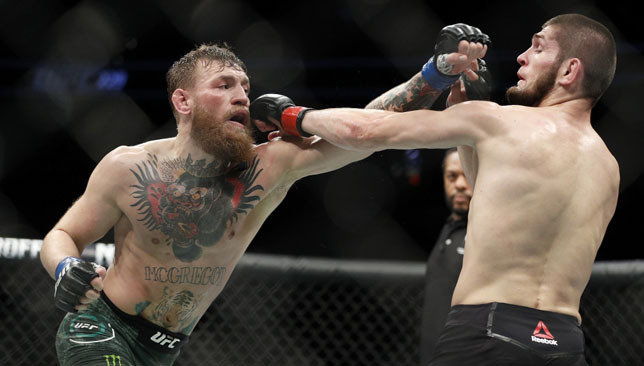 Conor McGregor and Khabib Nurmagomedov both made the lightweight limit of 155lbs to ensure their highly-anticipated title fight would go ahead in Las Vegas this weekend. UFC 229 has been billed as the biggest event in the company’s history and is forecast to set a new benchmark for pay-per-view buys, so it will be a relief to organisers that its two headliners successfully made weight. All fighters on the card had a two-hour window from 9am local time on Friday to weigh in and Nurmagomedov turned up immediately to scale 155lbs. McGregor, who appeared a little over an hour later and weighed in half a pound less, will have a final staredown against his rival at a ceremonial weigh-in later on Friday. The Irishman is returning to mixed martial arts following a two-year hiatus, having made a brief switch to boxing in the interim period to take on Floyd Mayweather in a highly lucrative showdown. He earned around 100million US dollars (£76m) from that bout in August last year, prompting questions as to how he manages to retain his desire in mixed martial arts at Thursday’s final news conference. Conducting his media duties separately to Nurmagomedov after arriving late to the Park Theater, McGregor said: “I’m starving. I am starving for this man’s head. I am going to eat him alive in there. “There’s no way this man’s hungrier than me, there’s nobody that’s hungrier than me in this game. I don’t stop, I’m too on it, I am 24/7 on this game. 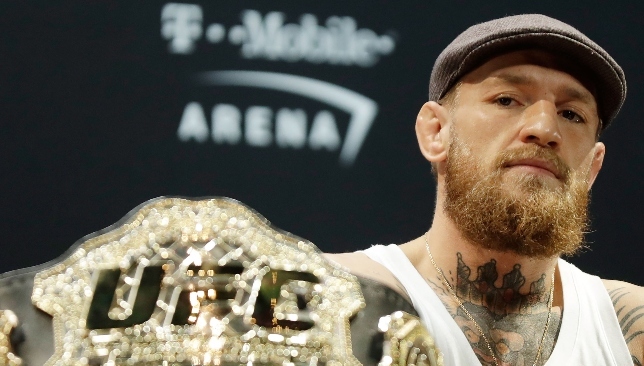 McGregor was stripped of his featherweight and lightweight titles due to his inactivity and makes his comeback against an opponent who succeeded him as top dog in the latter division. Animosity between the pair has ramped up significantly since McGregor threw a dolly at the window of a bus containing several rival fighters, including Nurmagomedov, in April, and the war of words has intensified. 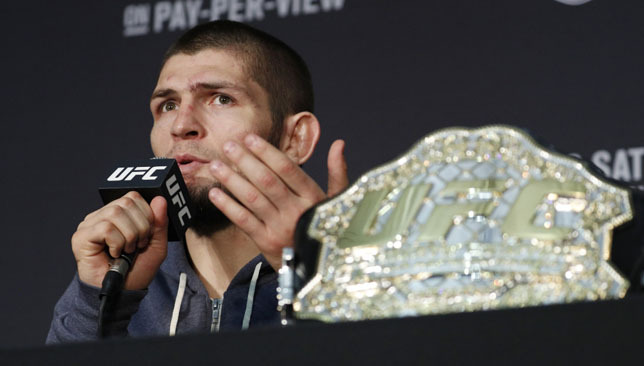 Nurmagomedov revealed he is still irked by that incident in Brooklyn just days prior to UFC 223, when he claimed the vacant 155lbs belt with a unanimous points victory over late replacement Al Iaquinta. Ahead of the first defence of his strap, the Russian said: “If I say no, this is not true. A little bit. “Of course I am angry and a little bit emotional. But my job when I go to the cage is I control my emotions and stay relaxed. I’ll keep going and maul this guy. Their fight is being seen as a classic striker versus grappler contest, but McGregor thinks he holds the upper hand. “He’s afraid of a clatter,” McGregor said. “Make no mistake, he does not like to be hit, he has novice reactions, he’s a flincher. He’s also easily backed up so I’m very prepared and very aware of what to expect. It’s nothing that fazes me. “I know every shot everyone throws. I know every move everyone makes, that’s it. I keep my eyes on the game that I run, that’s it. I overlook my empire with a hawk eye.